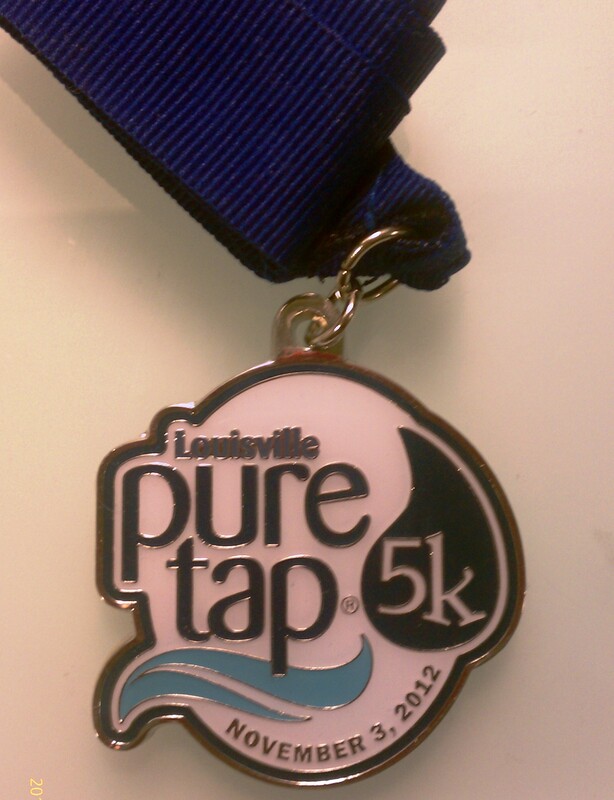 The Pure Tap 5k was sponsored by The Louisville Sports Commission. 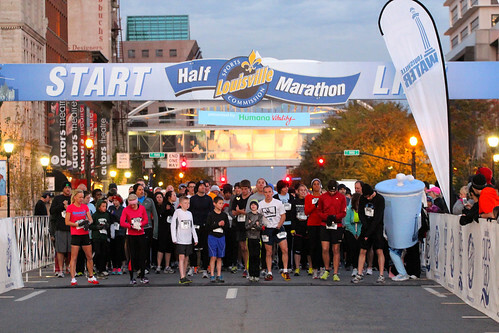 The start line was in front of the KFC Yum! Center. They had a DJ set up with nice music, clothing check, plenty of porta potties and good parking. For my fourth race, I’m getting used to the routine of what to expect and this eases pre race jitters. 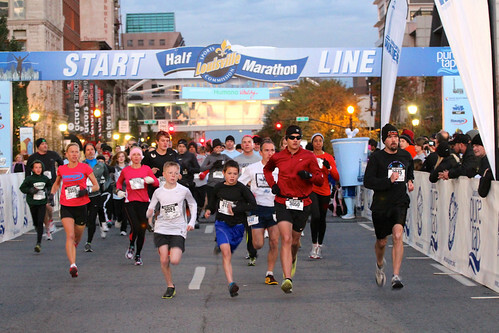 The 5k was one of two events being held on this day. There was the much talked about half marathon which started about 30 minutes after the 5k. The weather was cold and going across the Second Street bridge was a killer. All that wind was hitting me in the face. Nose breathing was out of the question. The race route took us down by Waterfront Park and we looped back around where the Belle of Louisville is docked. I passed some guy running in khakis. He ended up stopping to walk and I tried to motivate him but he was not listening to a word I said. At least he didn’t act like it. Finally, the route bends around Main Street and it was a straight shot to the finish line at the Belvedere. I saw this little boy who had to be around 9 years old. I knew I had some kick and I thought how tacky it will look if I sprint this little boy down to the the finish. Yeah right! Home boy ended up sprinting and leaving me in the dust! What a relief to be complete with this race. I go to clothing check and put on layers, stopped at the car to get my cell phone and went back to the post race party at the Belvedere. They had complimentary beer, bourbon and Bearnos pizza. Here comes the rain. Rain turns into sleet. I’m freezing but trying to maintain long enough for the race results. Not only did I place 1st in my age group, I made 5th place overall women with a time of 24:12. I won a nice drawstring bag with gifts. The icing on the cake was having my Dad read the Courier Journal the next day and seeing my name in the paper! That was so awesome. 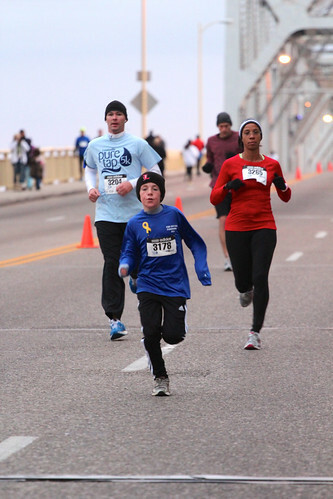 This entry was posted in running, Uncategorized and tagged Louisville Sports Commission, Pure Tap 5k, Running. Bookmark the permalink.